Posts tagged "Hilux signage Perth"
Perth Graphics Centre is completing signwriting on Toyota HiLux utes on a regular basis and with their blank sides, it’s easy to see why. 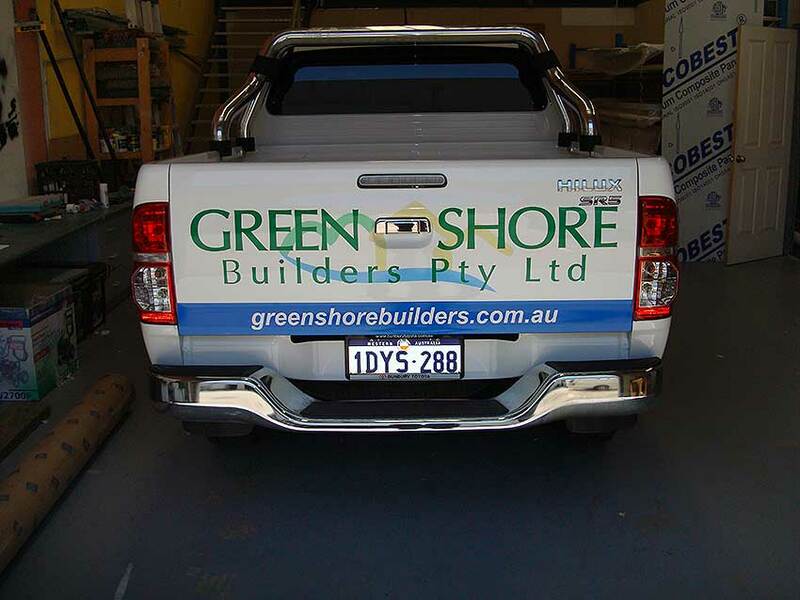 We were approached by a local building company to create signage for their utes and seen here is the result. 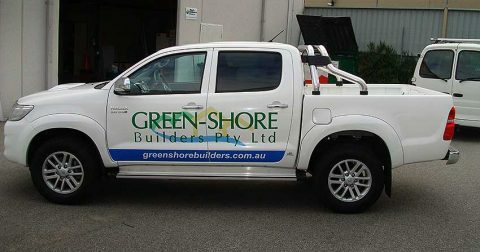 The customer has since brought other vehicles owing to how well this one turned out. Most work utes need signwriting of some kind, so if you have a ute which has plenty of space on its sides, why not bring it in for a free measure and quote.